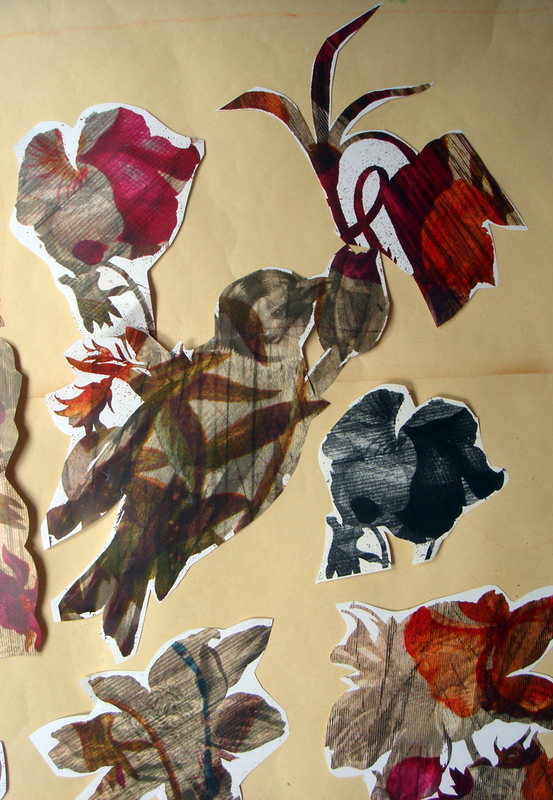 Textiles: ideas, drawing, design, stitching…. 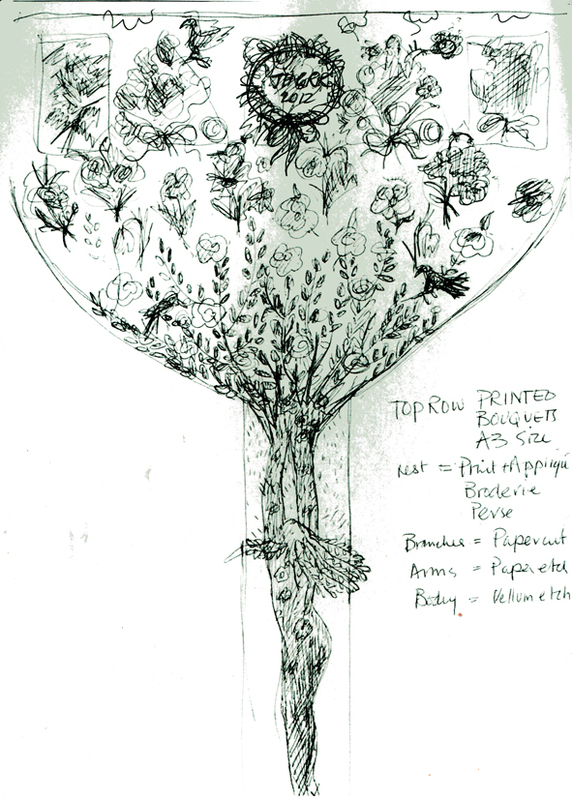 The design drawing above, although sketchy, is looking fairly comprehensive, although to anyone who hasn’t seen the full scale pattern on the tables at Heart Space Studios will have their doubts about my progress. My pairing partner, Rachel, works in a completely different way – she is a digital printer, so everything she makes has to be mapped out first on a computer and programmed so that she can manipulate everything she needs at the final printing stage. She gives herself a range of options to choose from – making her work spontaneous in a totally different way than mine…..in fact my way of working isn’t spontaneous at all, it could be said to be organic or even vegetative in its development. She takes a long time to prepare; I take a long time to make; she can print metres of piece of cloth in a day; I can take months to cover half a metre. 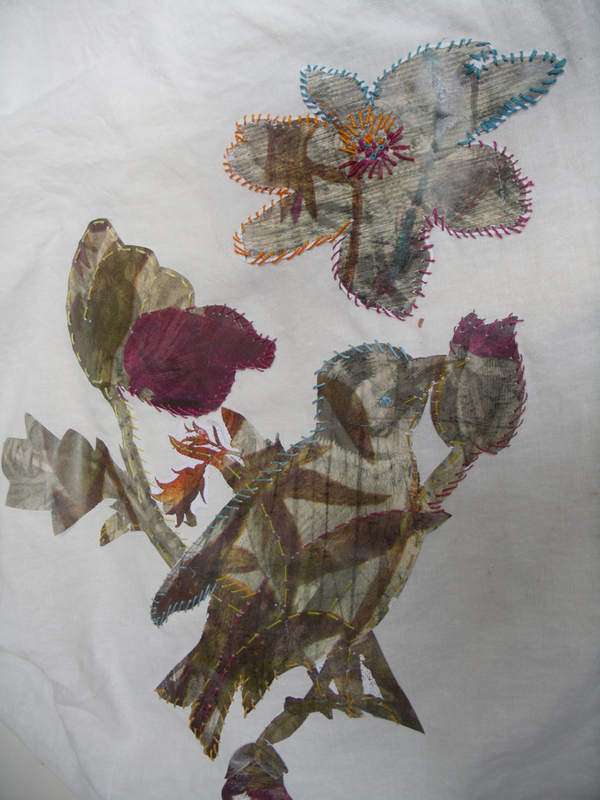 And as we are playing a game of consequences to make this work, in that we each react to the others new idea or image, I have to play by the rules and just make new ways to to do my stitched work within the time span. 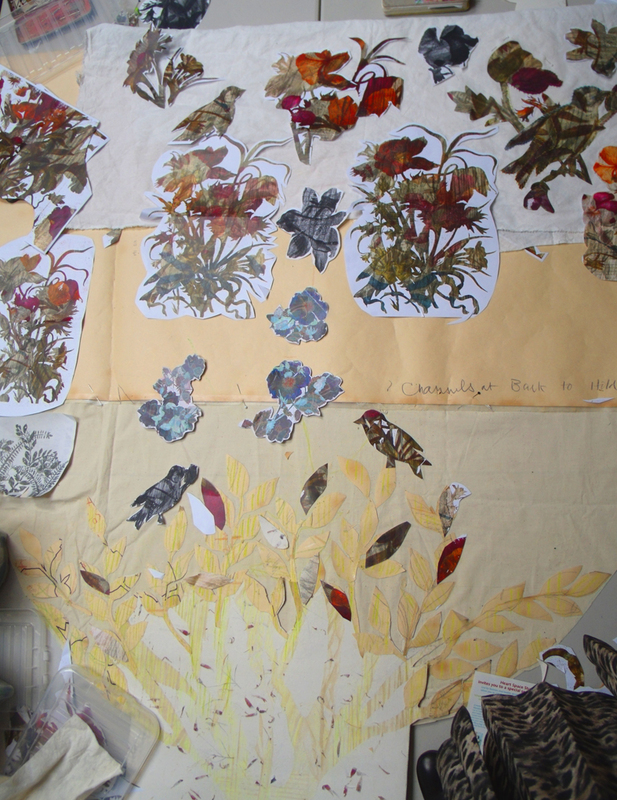 But what wonderful choices I am given, beautiful bouquets of exquisite flowers, some with hidden birds that I can cut out and embellish, but at the moment just working with paper makes the stitched results rather crude, but gives me ample opportunity to play with the colour and composition. 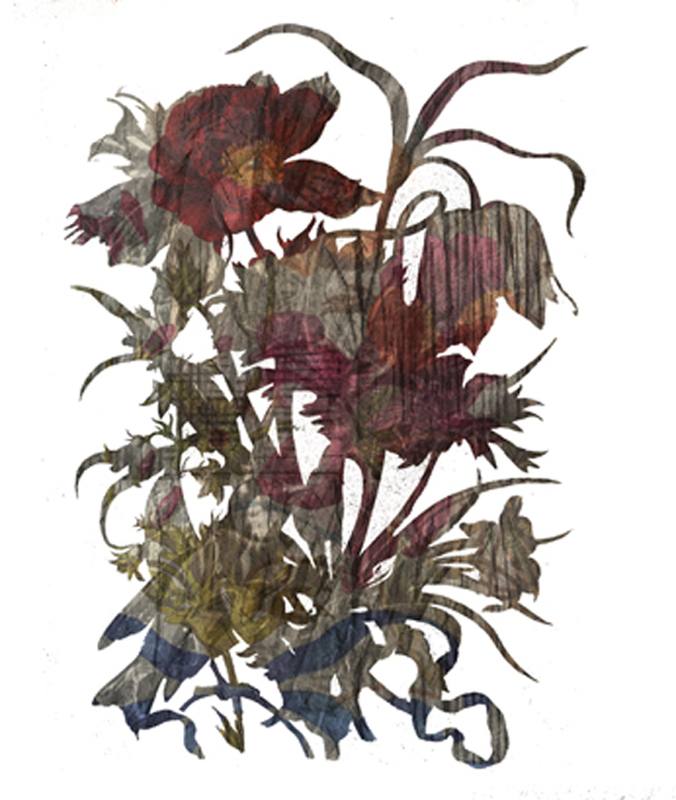 Eventually we will have the cloth to print on and cut out and sew beautifully – and the vellum will be laser etched hopefully later this week ready for me to start sewing it all together. 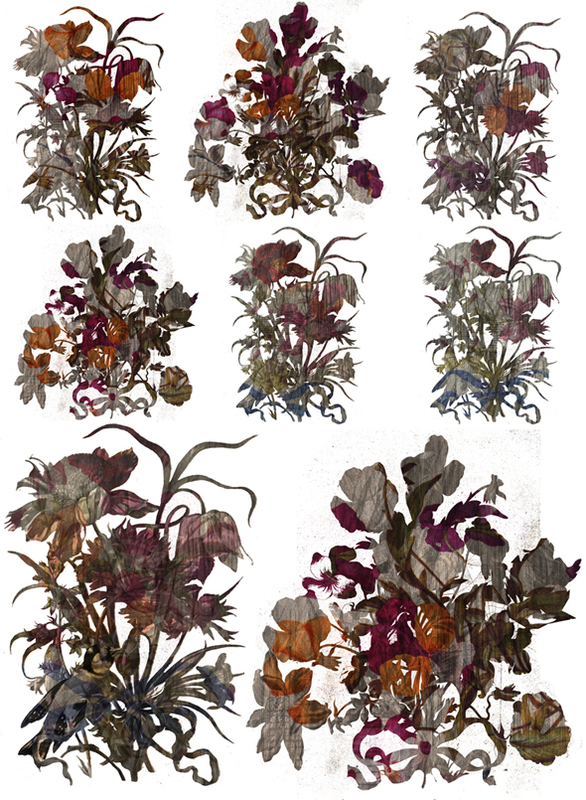 Meanwhile I have to carry on sampling all the ways I can make a piece of vellum transform into a sheet of paper which then becomes a printed chintz design on cotton. 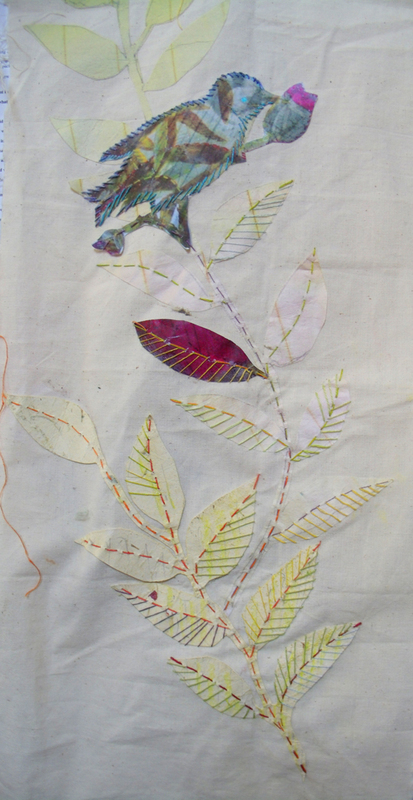 I have started to sample dyeing the shoji paper leaves to applique onto the cotton fabric – hand stitching is the answer as all of this is too big to go under a sewing machine – did I mention that this work is 3 metres from the toes to the top? 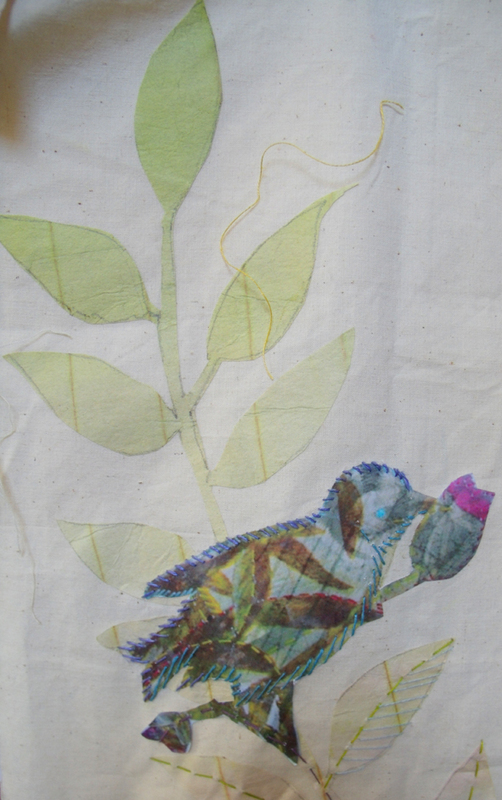 stitched applique of embroidered paper with digitally printed bird. Categories: Drawing, Pairings - Live Project | Tags: illustration | Permalink.